If you’re debating the purchase of a zero-turn vs. lawn tractor, then you’ve come to the right blog. We’ll identify and consider the pros and cons of a zero-turn mower vs. riding mower. By the end of this analysis, you’ll be many steps closer to making your final decision about which is best for you! Our mission is to help you select the best equipment for your particular lawn care needs. As we look at ZTR vs. lawn tractor, please contact Bobby Ford Tractor and Equipment today with any inquiries you may have. So, what does zero-turn mean? As for zero-turn vs. tractor, with a ZRT you have a turning radius of zero (or nearly zero). This is achieved with individual hydraulic control handles for each wheel. Zero-turns are typically faster but costlier than traditional riding mowers. You probably have several questions. Will this type of mower work for you? What’s so special about a zero-turn mower vs. lawn tractor? How fast does a zero-turn mower go? Is it faster than a riding mower? Let’s look at two lists that will make things clearer for you. Keep reading for the pros and cons of a zero-turn mower. You may be asking the very specific question: do I need a zero-turn mower? The information below should help you as you weigh your options. Let’s start with the pros! Speed: If you have a need for speed, you’re looking in the right direction. The higher-priced ZRTs will move faster than a lawn tractor. Precision: Because of the visibility you have in the front of the mower, your lawn care precision will certainly improve. Easy and Time-Saving: Who doesn’t love these two aspects? Your ZRT will give you smooth maneuverability, and it will possess a tighter turning radius. Zero-turn on Hills: When it comes to zero-turn vs. riding mower on hills, you’ll notice that the steering wheel model ZRTs operate much better on slopes than the lap-bar ZRTs and even some lawn tractors. You might need some special wheels and certainly some excellent steering to conquer steep terrain, however. In this regard, a Kubota riding mower could be better. Pro Status: This goes two ways. You’ll look like a boss driving this machine, and you’ll get the professional yard care appeal we know you’re after. Check out Bobby Ford’s Kubota zero-turn mowers today! Here’s our cons list. The main idea here is that you must be willing to maintain and learn how to drive a zero-turn lawn mower. You’re making a commitment, but the rewards far outweigh the perspectives we’ll jump into here. Price Tag: ZRTs come at a higher price. No doubt about it. But often, you get what you pay for, right? Highly Advanced: So, some of you would put this on the pros list. We simply mean to let you know that a ZRT is more complex than a lawn tractor. Less Pull: You won’t have the same pulling capabilities with this type. ZRTs boast rather delicate and sophisticated hydrostatic transmissions. Care is required in this regard. No Rough-cut: You won’t have the rough-cut capabilities with ZRTs, so you’ll have to mow regularly. Browse a variety of Bobby Ford’s Kubota mowers now! What Is a Riding Mower? When looking at a zero-turn or riding mower, a riding mower resembles a small tractor. Though some models can be suitable for larger lawns, with this type of mower, you will not have the maneuverability of a zero-turn, which is required for more complex terrain. You’ve seen the pros and cons lists above. If you’re looking at a particularly hilly landscape, a riding mower may be best. But with the proper tires and informed operations and driving, a zero-turn mower could just as easily work on sloped areas. A ZRT is usually top-heavy, so tackling wet lawns or fields combined with steep inclines is not always a good idea. Thinking about a tractor or zero-turn mower? Consider this: if you seek a multifunctional mower, you’ll want to go with a tractor. Zero-turns are designed to fly. They’re sleek and speedy, but you’re not going to be hauling tools and gear with them. You can with a riding mower. Should I Buy a Zero-turn Mower? So, what’s best? Lawn tractor or zero-turn? Review the material above if you’re still not sure. It all depends on your lawn and the type of care you’d like to accomplish. Choose what’s important to you. If you frequently work around flat but detailed landscaping, have a need for speed, or desire that best blades and a precise cut, go with the ZRT. If you’re attaching snow plows and hauling work materials on top of mowing (plus, working on steep hills), opt for the riding mower. Before you go, head over and check out Bobby Ford’s Bad Boy mowers. We think you’ll like what you see! We’re certain you’ll find what you need with us. Whether it’ll be zero-turn or tractor for you, we’re here with all your mowers and for all your mowing needs. 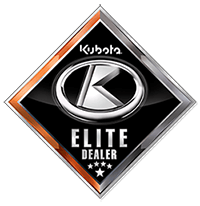 Browse the site of your Texas Kubota Dealer today. We’re happy to answer your questions here at Bobby Ford Tractor and Equipment. Contact us online, or give us a call at 979-849-5400.